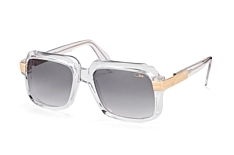 One of the latest eyewear trends seen everywhere from the catwalk to street style is transparent sunglasses. There is something about clear shades that is so of-the-moment: fresh, cool, modern, and yet somehow also timeless. 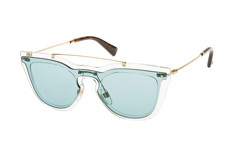 Mister Spex has a fantastic selection of this fashion-forward style in many different shapes and lens colours. Find a pair of transparent sunglasses that suits your features and you'll clearly be ready to make a statement. 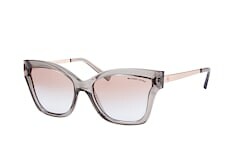 Sunglasses with translucent frames in a sleek silhouette will get you noticed at the beach or in the city. 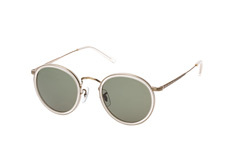 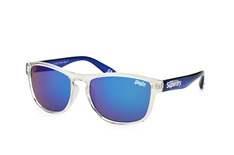 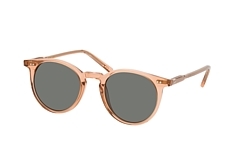 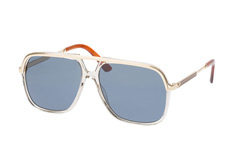 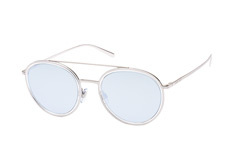 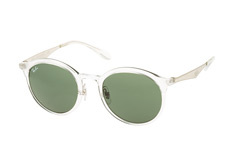 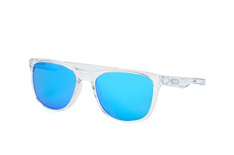 But, what you'll notice every day if you wear transparent sunglasses from Mister Spex is how amazing the lenses are. Lenses on sunglasses from Mister Spex provide full UV protection and are treated with an anti-reflective coating to keep vision sharp and your eyes protected. 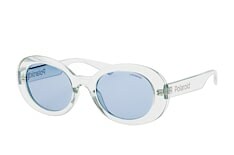 Of course, Mister Spex also has transparent sunglasses with polarised lenses, so you can rock the clear shades trend without compromising on outstanding vision - even in conditions where there's lots of glare. 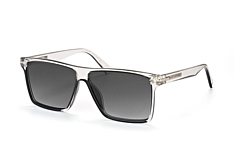 Mister Spex offers many styles of transparent sunglasses from top brands with prescription lenses. 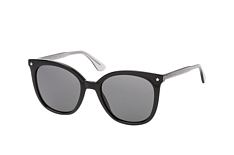 Get stylish eyewear that does it all from Mister Spex - vision correction, protection from harmful UV rays, protection from glare (if you opt for polarised lenses), and more. 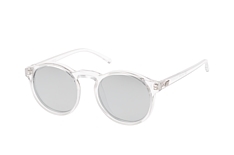 Look for transparent sunglasses designated as "prescription-ready" on our site and begin customising your pair. 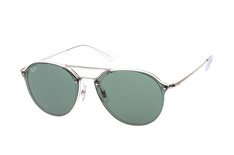 When shopping for transparent sunglasses, pay attention to your face shape. 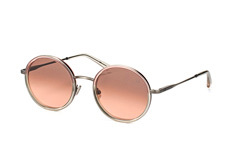 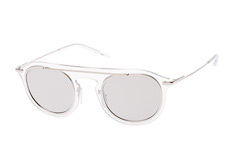 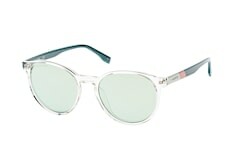 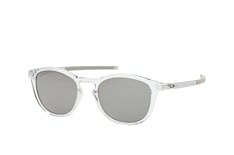 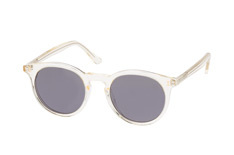 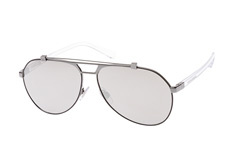 Go with a pair of round transparent sunglasses if your face is angular. 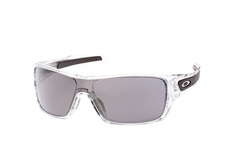 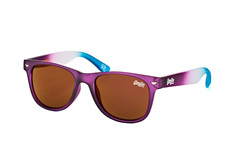 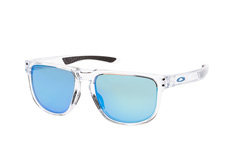 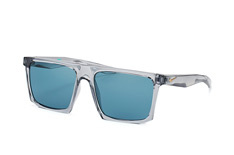 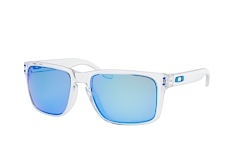 A pair of Oakley Frogskins with transparent frames and coloured iridium lenses are the epitome of modern coolness, and they'll suit lots of face shapes. 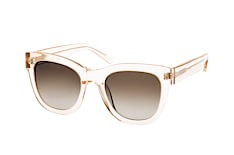 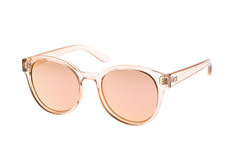 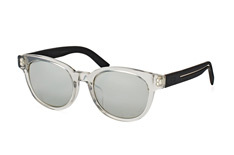 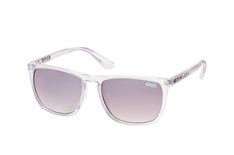 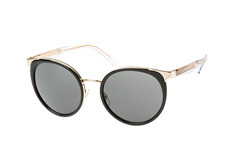 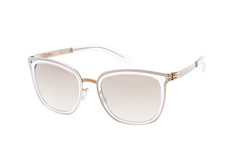 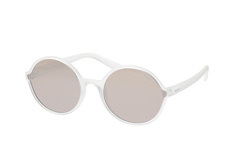 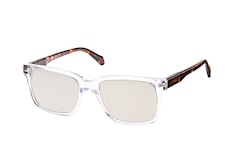 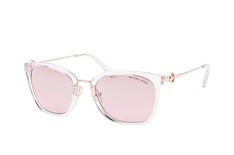 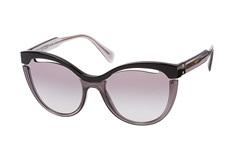 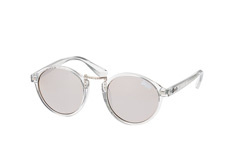 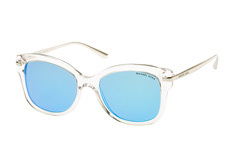 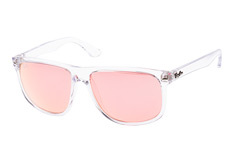 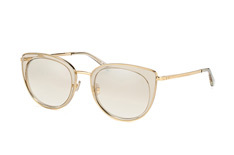 Or combine two mega-trends if you choose transparent frames in a cat-eye shape. Ready to give transparent shades a try? 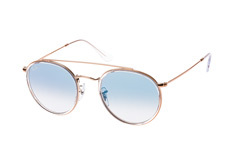 Use the simple but effective online fitting tool at Mister Spex and you'll soon know which of the many fantastic frames on our site is the clear winner. 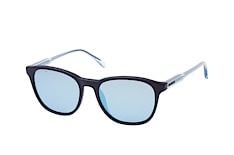 All you need to do is take a quick photo with your webcam or smartphone - or upload a photo you already have - and begin trying on your favourite options. 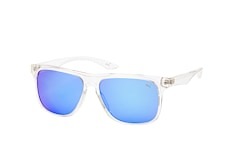 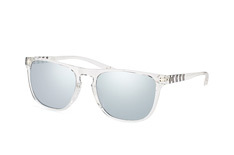 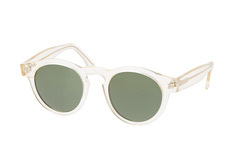 Transparent sunglasses will be the highlight of your wardrobe and guarantee instant style. Buy your pair of clear shades online today at Mister Spex.